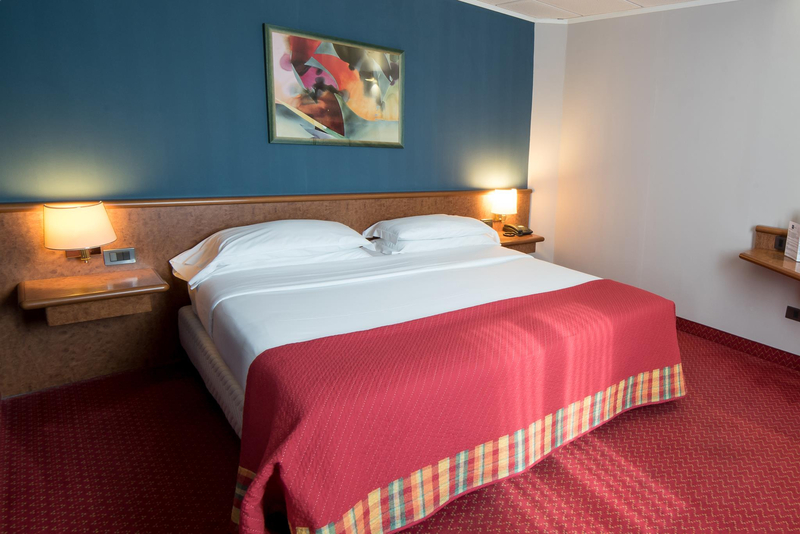 The Double Room is furnished in modern style with a King Size bed 180x200, air conditioning, telephone, TV, safe, minibar (on request only), hairdryer, private bathroom with shower and courtesy set. Modern and functional furniture. WiFi connection and breakfast always included. 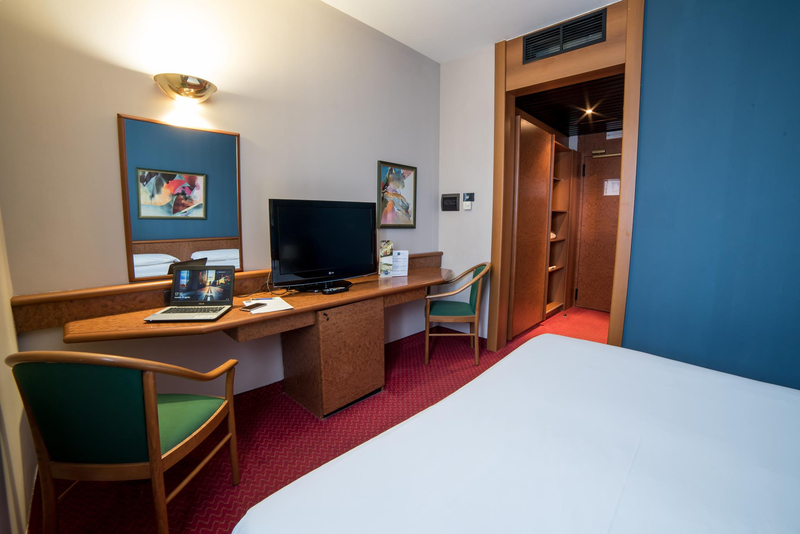 The Twin room is furnished in modern style with two single bed 90x200, air conditioning, telephone, TV, safe, minibar (on request only), hairdryer, private bathroom with shower and courtesy set. Modern and functional furniture. WiFi connection and breakfast always included. The Triple room is furnished in modern style with two single bed size 90x200 and a sofa bed 140X200, air conditioning, telephone, TV, safe, minibar (on request only), hairdryer, private bathroom with shower and courtesy set. Modern and functional furniture. WiFi connection and breakfast always included. The Quadruple room is furnished in modern style with two single bed size 90x200 and a sofa bed 140X200, air conditioning, telephone, TV, safe, minibar (on request only), hairdryer, private bathroom with shower and courtesy set. Modern and functional furniture. WiFi connection and breakfast always included. 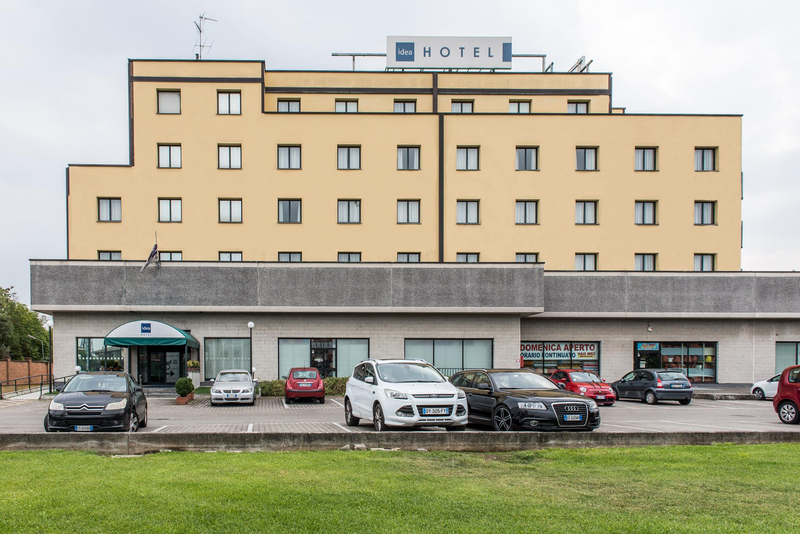 The 71 spacious and bright rooms at the Idea Hotel Piacenza are fully soundproofed and equipped with all modern comforts. 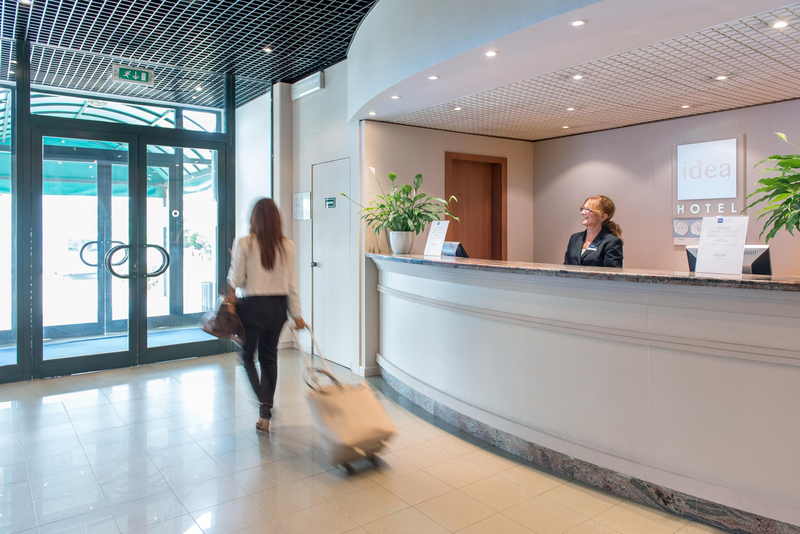 The Idea Hotel Piacenza has WiFi Internet access (FREE) in the rooms and public areas. It also has an outdoor parking lot with limited places (FREE). The furnishings of the rooms are simple and essential. 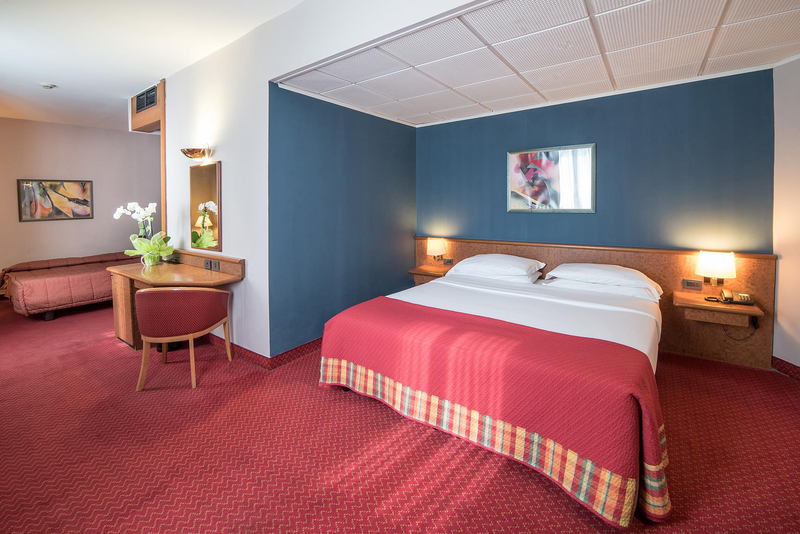 The large square meters (13 sqm Standard rooms – 20 sqm double rooms) make the rooms comfortable for long stays. Children up to 9 years old are accommodated for free in the bed with their parents. Alternatively for children aged 10 years there is a surcharge for the extra bed on the cost of the room. 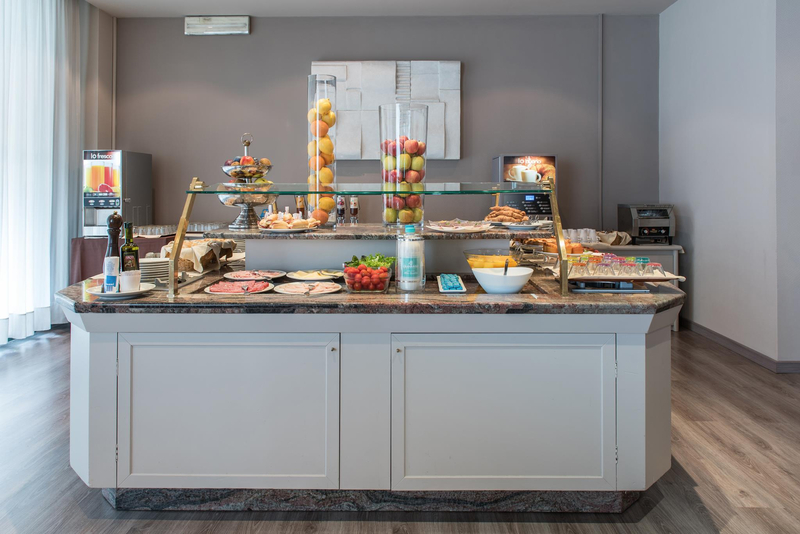 The breakfast buffet of the Idea Hotel Piacenza is a true point of excellence among the services offered by the hotel. 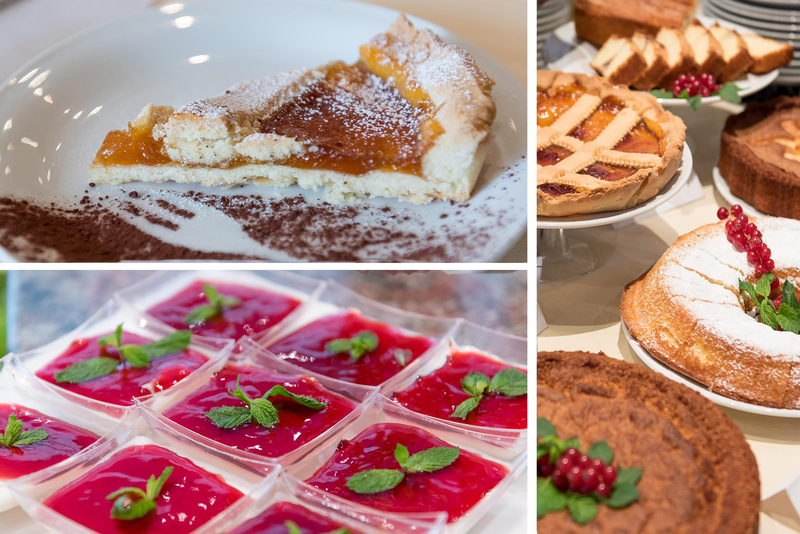 Every morning guests will be offered cakes, biscuits and homemade desserts. For those who like a continental breakfast there is a wide selection of salted products, salami, cheeses and more. 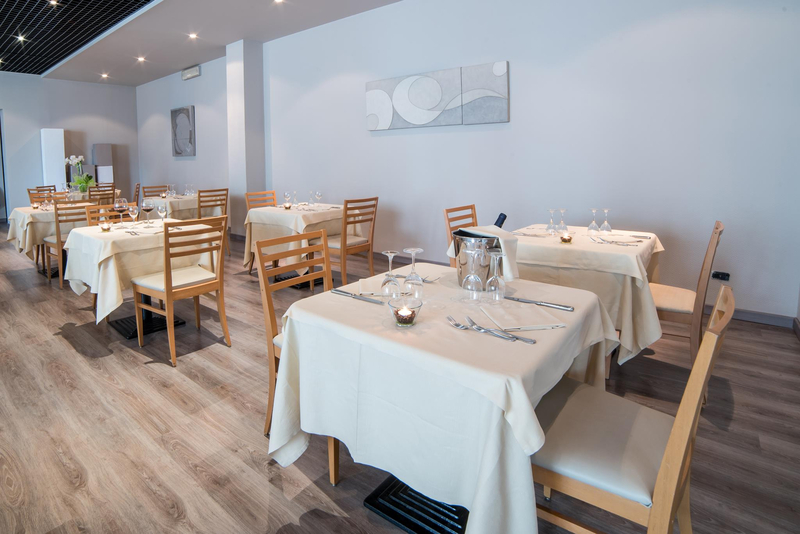 The Restaurant "Domus Placentia" of the Idea Hotel Piacenza offers a wide choice of typical local dishes (tortelli in broth, lasagna and stewed meat) and national. The chef also offers revisited and gourmet dishes, such as the chef's double burger and La tartare Piacentina. 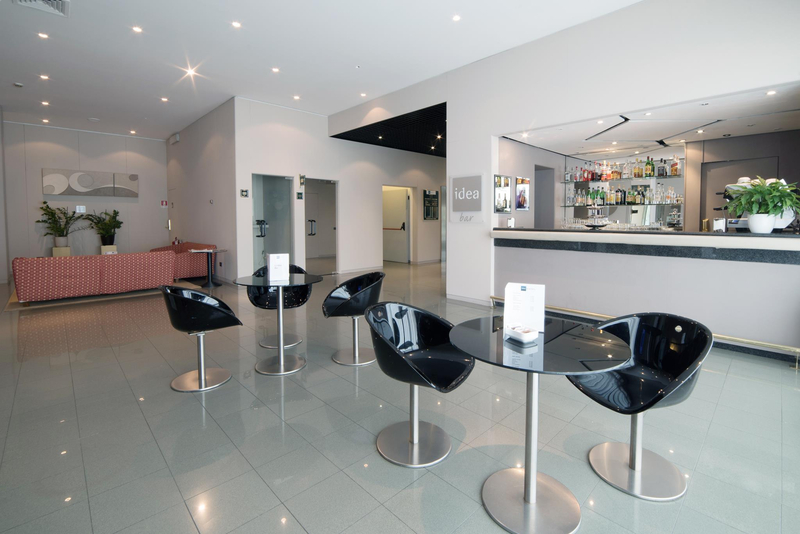 The Lounge Bar is open daily from 18:30 hours for a coffee or a delicious aperitif. From A1 Milano-Napoli, exit at Torino and continue to exit at Piacenza Ovest. As soon as you exit 200 mt after the tollbooth you will find the hotel on the right. From the A21 Torino-Piacenza-Brescia, exit at Piacenza Ovest and continue for 200 m where you will find the Idea Hotel Piacenza on the right. From Milan Linate Airport: Tangenziale Est di Milano towards Bologna, then motorway A1. From Milan Malpensa Airport: Tangenziale ovest di Milano towards Bologna, then Highway A1. Alternatively: Train/Bus to the station Milano Centrale or Garibaldi and then continue with the train to Piacenza. Click HERE for schedules. Bus number 2 from the station, center and university. Click HERE for schedules. 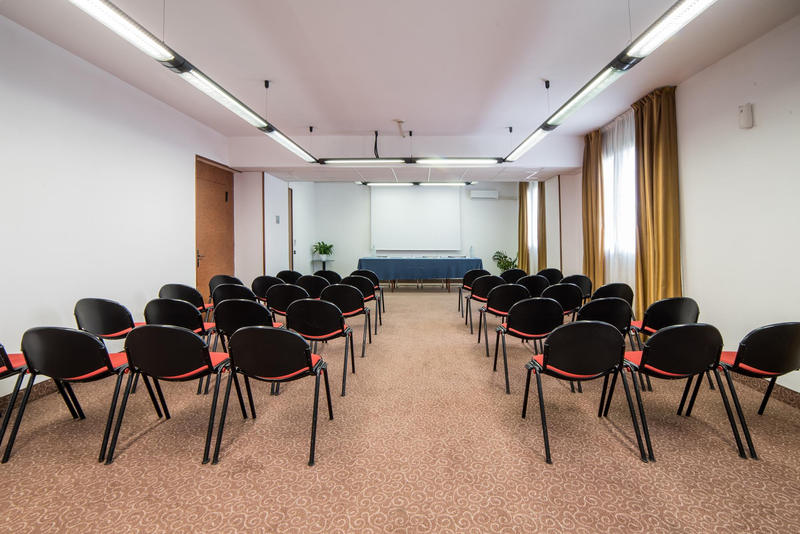 Enter your email to keep informed about promotions, offers and events on Idea Hotel Piacenza.